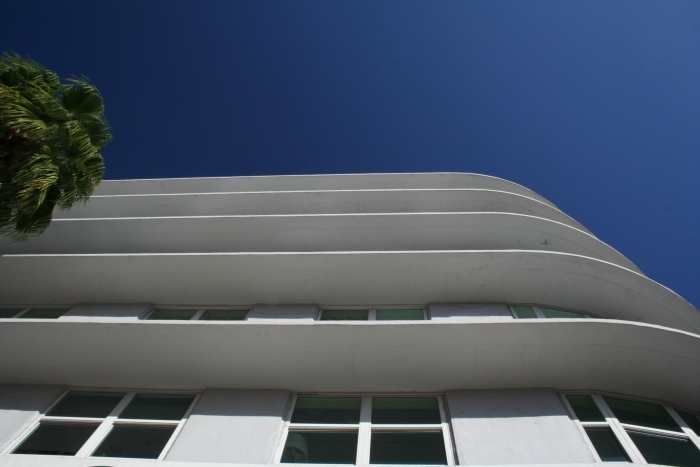 Miami's South Beach -a.k.a SoBe- is not only known for the most posh people on the planet, but also for its historic Art Deco quarter. Well, what people call 'historic' over here doesn't mean it necessarily has to be old. Here is the first impression of this picturesque, showing the building above Starbuck's, where we had our morning coffee today, shot right from where I was sitting. Actually, I am very pi**ed because I broke my circular polarizing filter in Little Havanna today. But the 'impressiones' from there are going to be a different series.